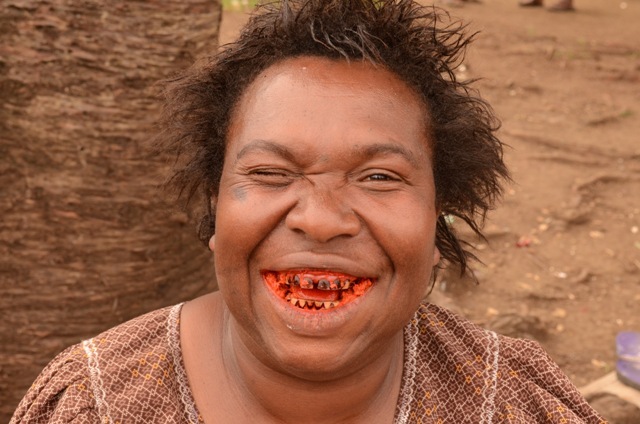 Health officials in Papua New Guinea (PNG) are concerned over rising levels of oral cancer in betel nut chewers amid a controversial ban on its usage in the capital, Port Moresby. Upwards of 25,000 people die annually from mouth cancer, many more than the 15,000 just a few years earlier, according to the Department of Health. “It’s a huge problem, and one that’s getting worse,” Sibauk Bieb, executive manager of public health in the Ministry of Health, told IRIN. The World Health Organization (WHO) cites the nation as having the highest incidence of mouth cancer - 32.3 cases per 100,000 men and 26 cases per 100,000 women - in the world. “It’s the biggest cancer killer of men in Papua New Guinea today,” William Adu-Crow, the WHO country representative, confirmed. 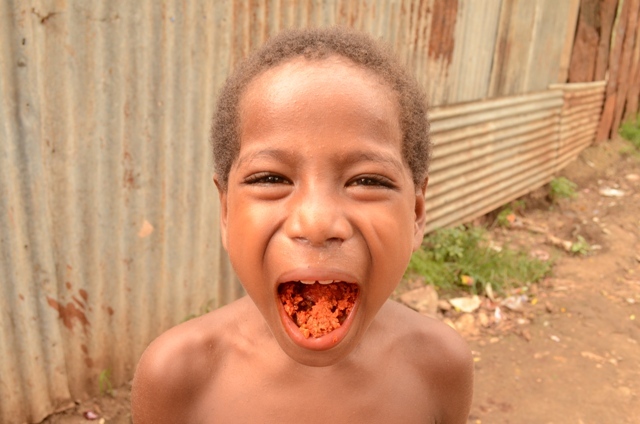 Despite this risk, and a host of other health consequences - including an increased possibility of heart disease, gastritis, gum disease, mouth ulcers and discoloured teeth - chewing betel nut or “buai”, as it is known locally, remains a deeply entrenched part of daily life on the eastern half of the island shared by Papua New Guinea and Indonesian Papua. Combined with mustard fruit and lime powder, which turns the mixture red, chewers get a mildly euphoric feeling and a sense of well-being for just US$1, and many use it as form of relaxation or a mild stimulant. The chewed remains are spat out. “Everyone chews betel nut - it’s a way of life around here,” said Joe Thomas, 36, an unemployed resident of the Mile 9 area of the city. He chews upwards of 20 nuts a day, a fact made obvious by the bright red spittle marks on the ground around him. 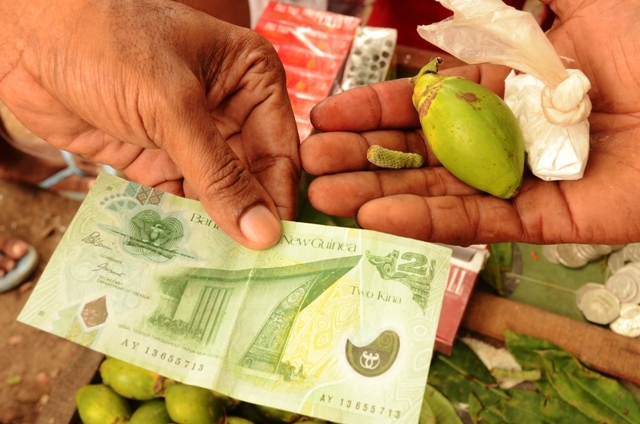 The most recent Household Income and Expenditure Survey says almost half of the country’s 7.5 million people report chewing betel nut, but others, including a number of prominent politicians, bureaucrats and businessmen, put the figure much higher. Once confined to coastal areas, where the Areca palm grows best, trade and consumption of this cultural commodity surged as the road system expanded, linking the highland and coastal areas. “We’ve seen an exponential increase in usage, particularly in the highlands,” said Gregory Mainao, the chief technical advisor for oral health in the Ministry of Health. This has obvious implications for the country’s most populous region. Oral cancer incidence is rising in the highlands, according to a 2012 WHO report, while an earlier study warned of an “impending epidemic” in the region. Yet many Papua New Guineans remain unconvinced. “I’m not at risk,” said Georgina Kins, 35, a mother of three whose mouth and deeply stained teeth say otherwise. This underscores the need for stronger and more targeted awareness campaigns, including in schools, Sapuri noted. With limited access to healthcare, particularly in rural areas, where 87 percent of the population live, the people who succumb to mouth cancer often do so as a result of late detection and diagnosis, when there is little that can be done in terms of treatment, the health department’s Bieb said. A blanket ban on PNG’s favourite nut has been in force since November 2013 in a bid to clean up Port Moresby, PNG’s largest city, and reduce health consequences, including tuberculosis, but residents are divided on the issue, which is still discussed in the media. Under the law, spot fines of between 500 kina (US$193) and 9,000 kina ($3,479) are being handed down to violators. Advocates cite an obvious reduction in the red spittle marks and that once dotted the city’s streets, sidewalks, and the walls of buildings, while critics accuse the government of failing to offer alternative opportunities to those who depend on the sale of betel nut for their livelihood. Thousands earn a living as small-scale vendors of the carcinogenic fruit. “Critics will be critics and cynics will be cynics, but we are responsible for the collective welfare of our city,” Governor Powes Parkop, the politician behind the ban, said in a full-page response published in the Post-Courier newspaper. In a January poll by the English daily asking readers whether there should be a proper debate on the “buai ban” in Port Moresby, 60.98 percent voted “yes”, while 39.02 percent voted “no”.